Three weeks after the Fourth of July shooting incident at Blue Rock Springs Park - in Vallejo, California - a mysterious series of letters were received by publications in San Francisco's Bay Area. The writer offered up a three-part cipher, which supposedly contained the identify of the shooter. 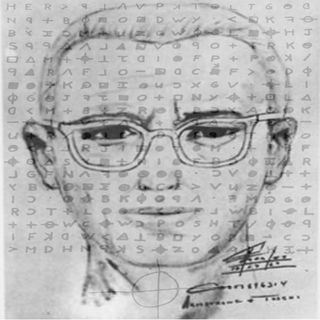 As the media began to pick apart these cryptograms, another couple of crimes seem to continue the killer's crime spree. First, a young couple is brutally attacked at Napa County's scenic ... See More Lake Berryessa in September of 1969; then, a San Francisco cab driver is randomly targeted just weeks later, in October. The Gateless Gate - "The Idea Of North"
Pulse Emitter - "Triangulum Galaxy"
Parvus Decree - "Subway Reflections"